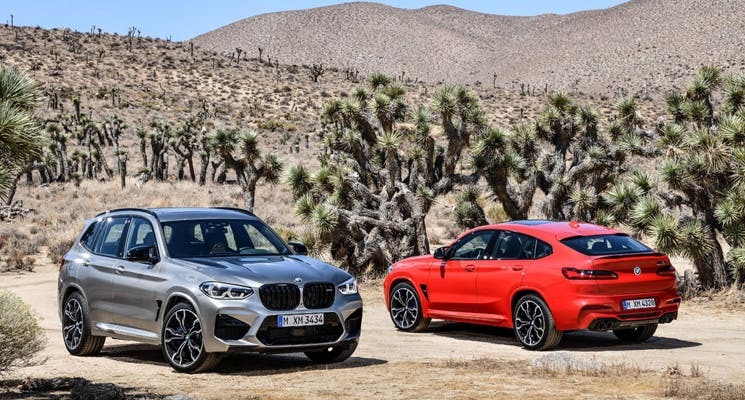 BMW has unveiled the X3 M and X4 M models and we can’t wait for these to be available as cars for sale in Abu Dhabi. Much more powerful than the regular X3 and X4, the M versions are the first full M-models by BMW. These performance models are ready to add spice to the competitive SUV segment. CarSwitch.com has put together a guide to help you learn more about these. 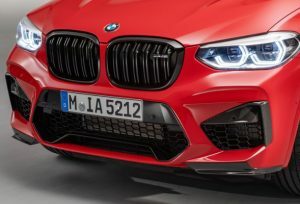 The 2020 X3 M and X4 M have a 3.0L twin-turbo Inline-six under the hood mated with an 8 speed automatic transmission. It produces 473 hp and 600 Nm of torque with a top speed of 250 km/hr. If that’s not enough, there is the Competition trim of these sturdy, mid-size SUVs. These versions can churn out 503 hp with a 0-100 mph in a blistering 4 seconds topping off at 285 kph if driven with the optional M Driver’s Package. These amazing numbers definitely make these cars worth looking forward to in 2020! Additionally, they have an All-wheel-drive system. They also feature adaptive suspensions with electronically controlled damper with three different modes: Comfort, Sport and Sport+. The brakes and suspension get a revamp to compliment the power. To compliment the boost in power, the exterior also get an upgrade. The rear and front fascia have been altered for the M models. Moreover, the twins get larger air intakes and 20-inch wheels. Along with 7 other additional exterior colors, it gets a M-specific exclusive body tone, Donington Grey metallic. The interior of both these versions will have black or oyster leather upholstery, sport seats, M steering wheel and plenty of M badges everywhere. Carbon fibre interior trim is also optional. This undeniably powerful M versions put the sport in Sports Utility Vehicle. Production of these twins will start in April but we are not sure when they will be available as cars for sale in Abu Dhabi. Nevertheless, we are excited! Meanwhile, if you want to upgrade your car, we at CarSwitch.com have many choices listed for you! The two-door coupe, 2020 Toyota Supra, has finally been unveiled at the Detroit Auto Show. Although the car. “You gotta fool the eye, the camera and the software”, says Dave Pericak, an engineer assigned. Top 7 Places for True Car Lovers in UAE! UAE is the hub of fancy and exotic cars. Along with that, it caters to many. The All-New Lamborghini Huracan Evo Spyder Unveiled! Lamborghini has unveiled a gorgeous new supercar: the EVO Spyder. This soft top version of Huracan.